Stop Press! Last minute offer! 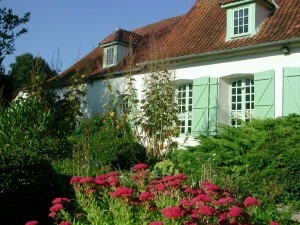 Stay at this beautiful bed and breakfast guest house near Calais for 2 nights and get a 3rd night at just 25% of the normal price. But be quick as this offer is valid for bookings made for the month of April only. This accommodation which is not only near Calais but also Boulogne and the beaches of the Opal Coast, is ideal for families with its big spacious guest rooms. Evening meals are available here too.